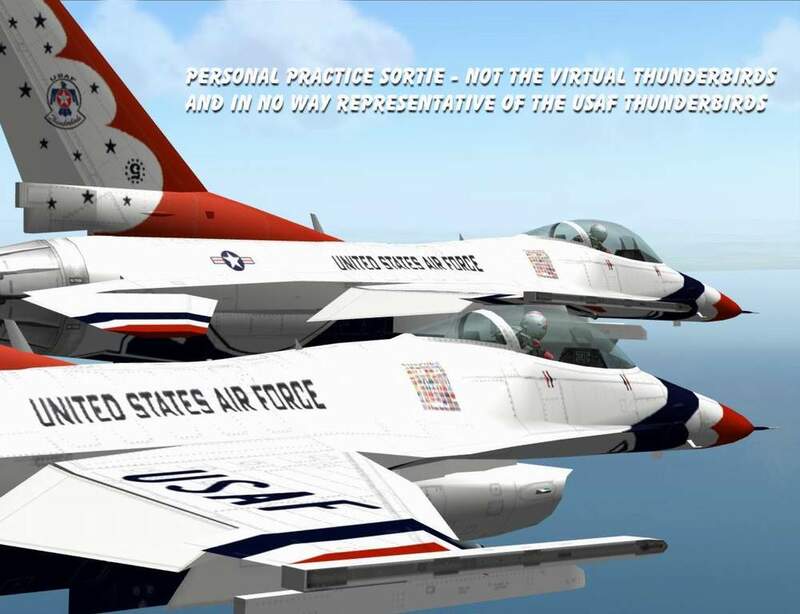 All screenshots on this page were captured during my practice sessions with a second system on my LAN, and "boss" on autopilot, or during practice sorties with other Virtual Thunderbird candidates. 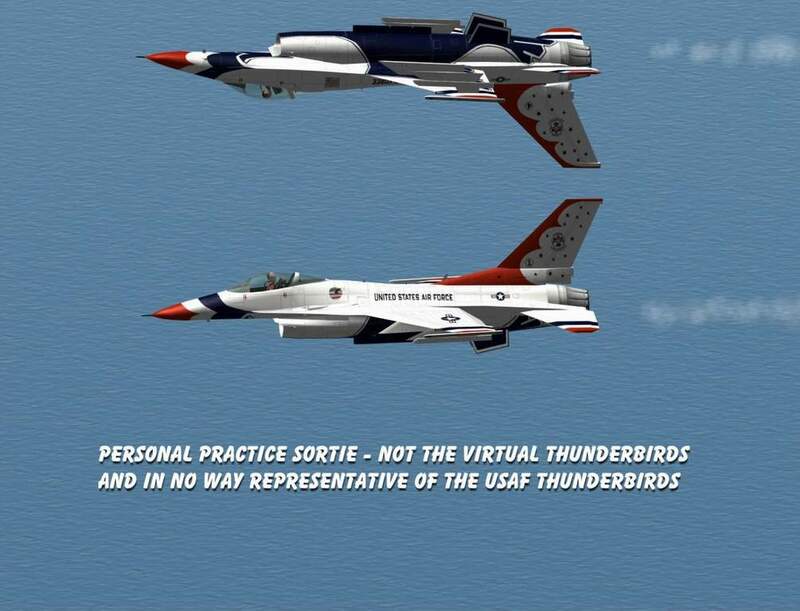 They in no way represent the Virtual Thunderbirds or the USAF Thunderbirds. 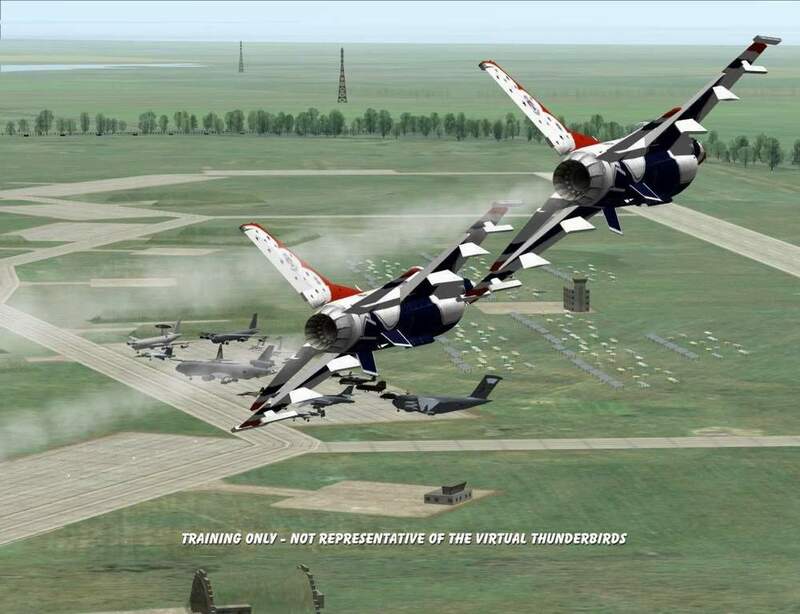 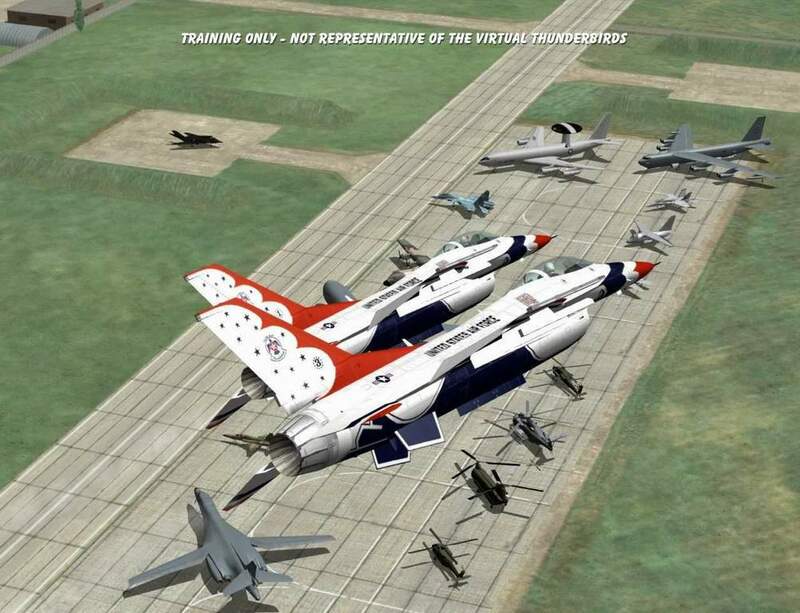 Update - August 1, 2006: I have added screenshots from training sorties with three of the active Virtual Thunderbirds - Striker (#5), Redeye (#3), and Rock (#4). 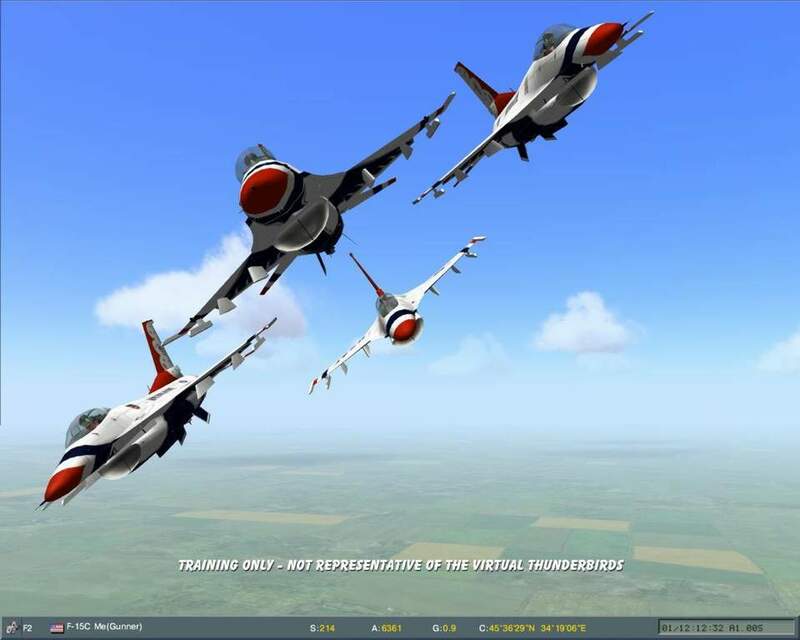 In all Diamond formations, I'm flying slot. 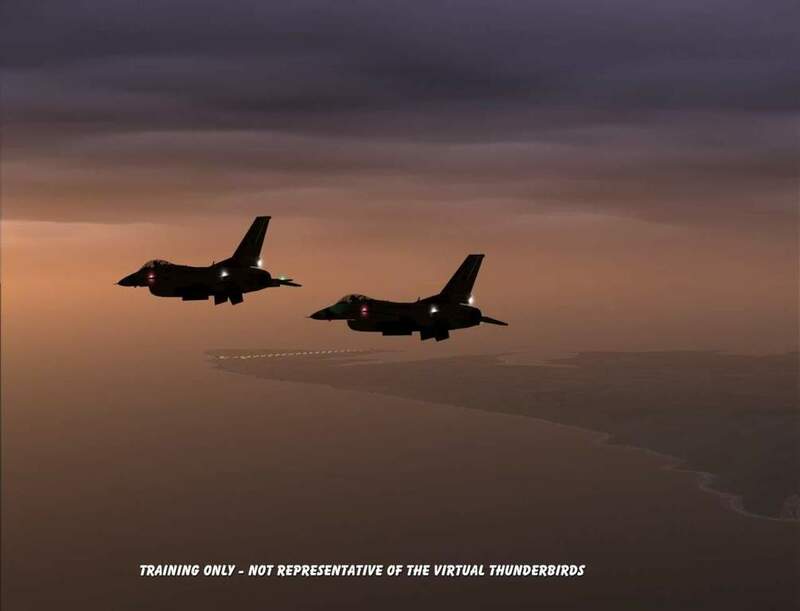 Update - August 21, 2006: Added a new page of screenshots from an impromptu training sortie Aug 15th.Click here to see them. 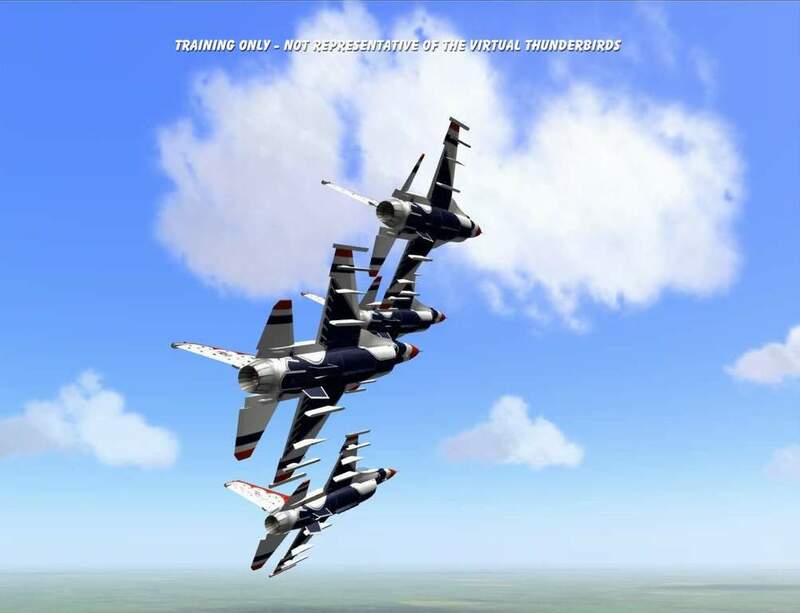 Update - September 12, 2006: I was awarded Phase Two status on September 2nd. 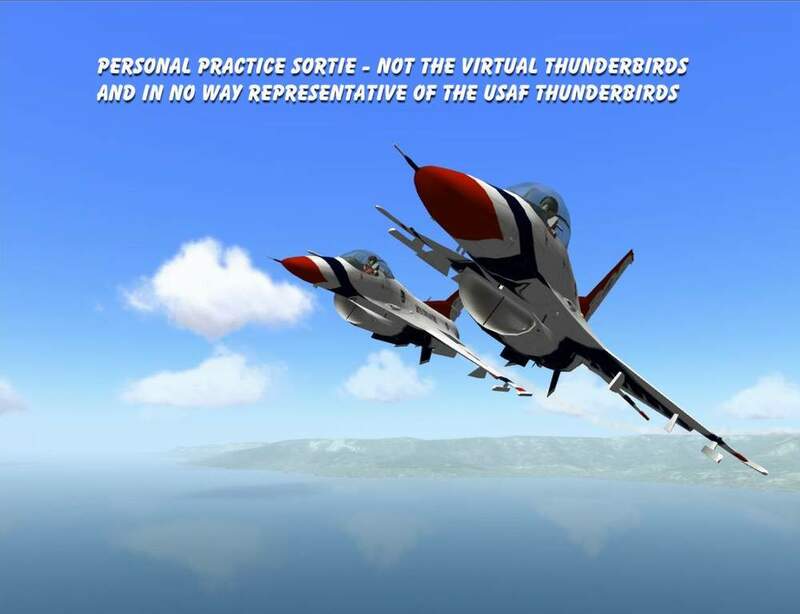 Among other things, that gives me the opportunity to participate and fly in practices if there is a position open. 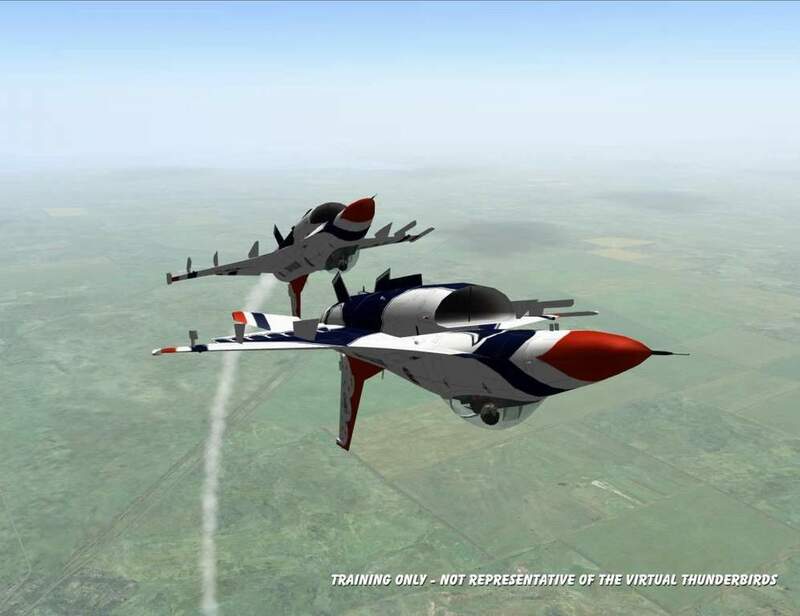 Saturday night I got my first chance to fly a full show practice with the team!!! 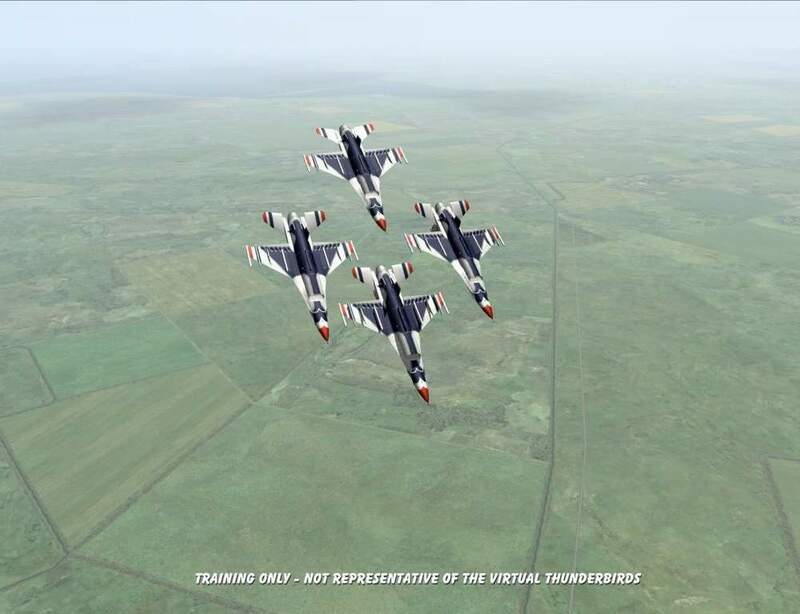 We flew the entire high show with all the maneuvers the real Thunderbirds fly in their shows. 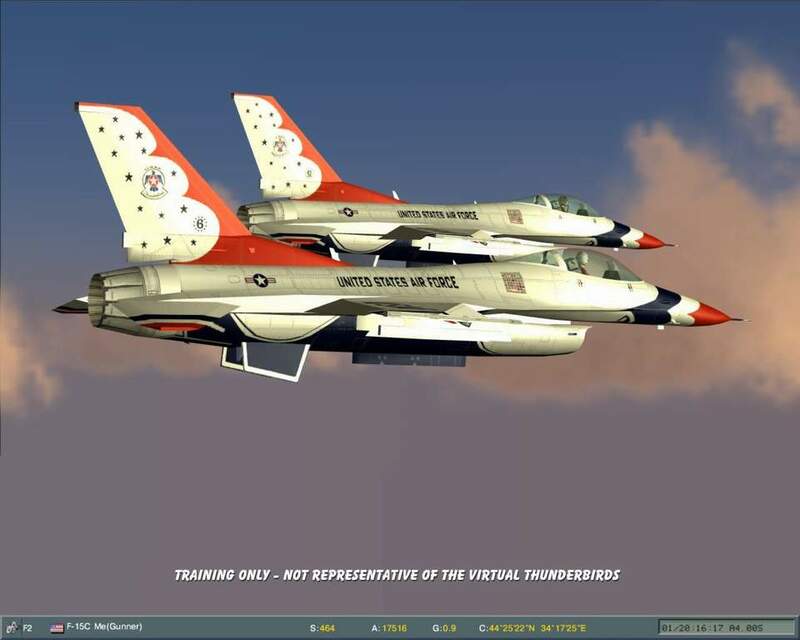 I've logged well over 400 hours to get to this point, and Saturday night alone made it all worth it! 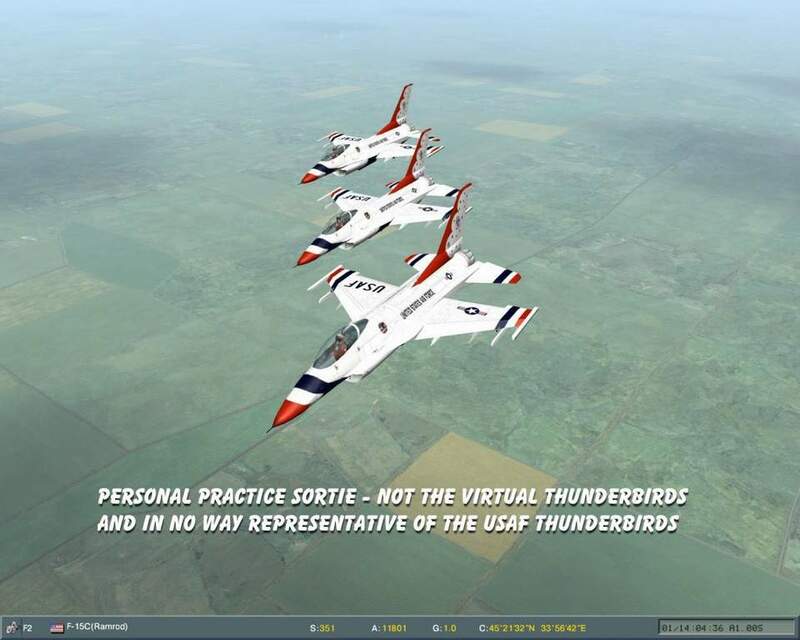 Click here to see a few screenshots from that practice. 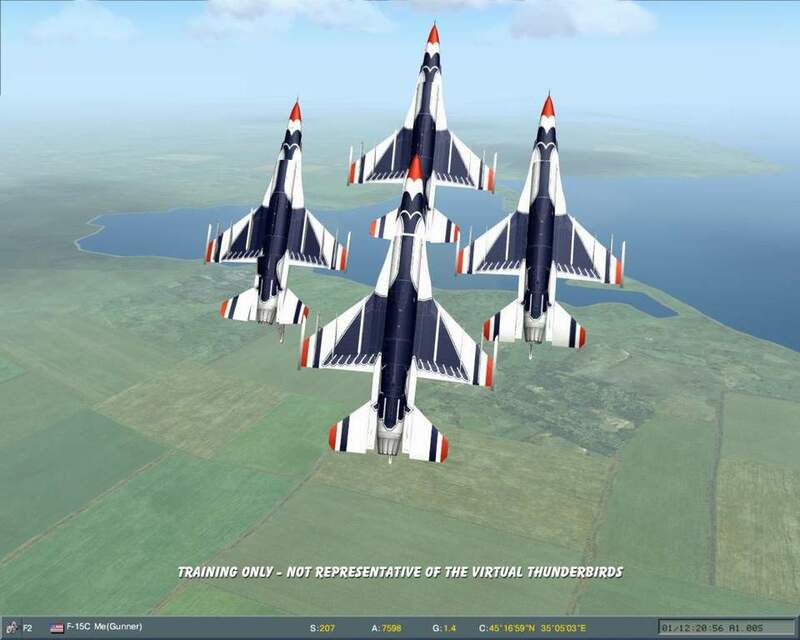 Update - September 19, 2006: Sunday night Striker led Lawndart, Cobra and I from home base to Sochi (230 miles as the Thunderbird flies). 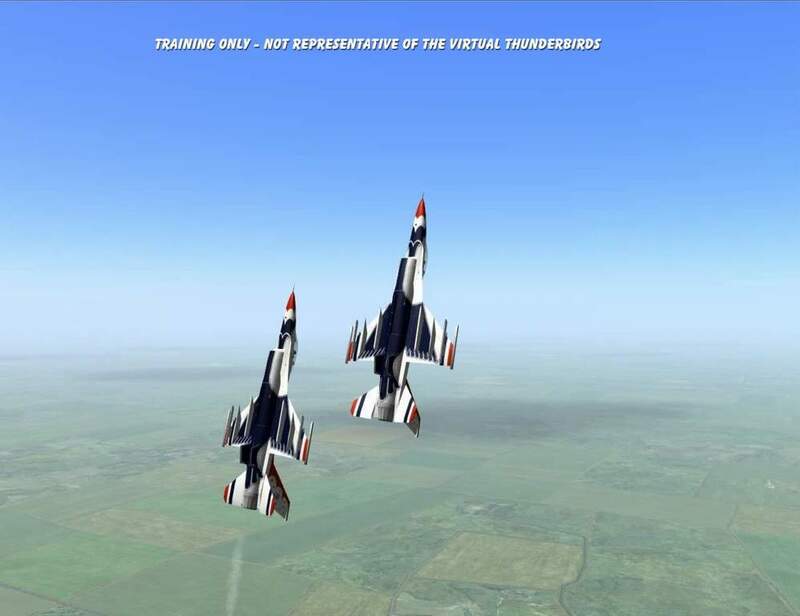 We flew a loose diamond at mach 1, 40,000 feet on the way over, then Striker dropped us down into some canyons and valleys. 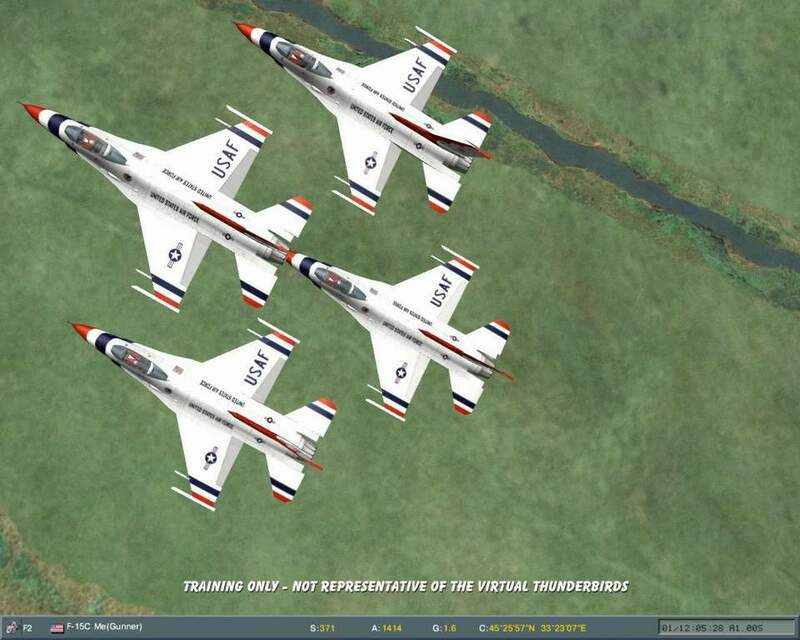 We weaved our way through the mountains in a circuitous route that was a blast! 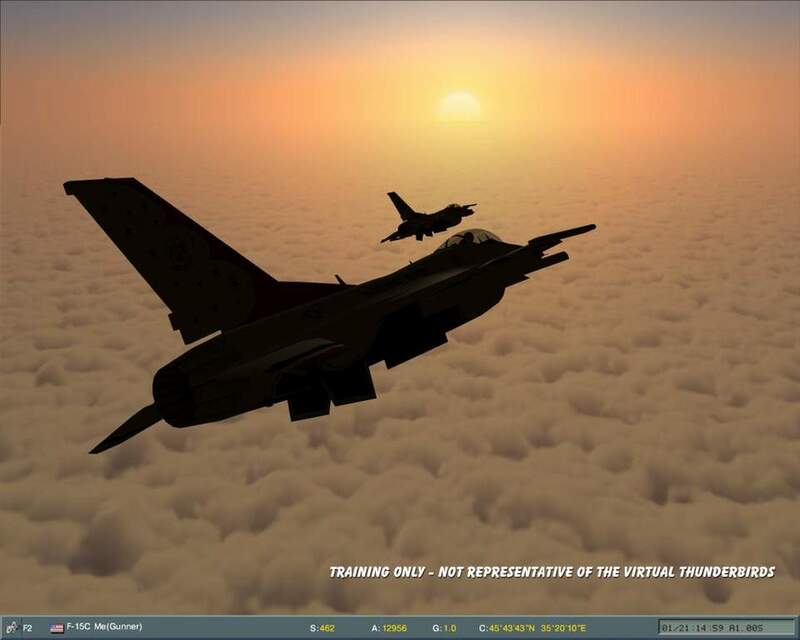 Since I posted the screenshots on the VTB forum, I'll just send you there...Click here to see them. 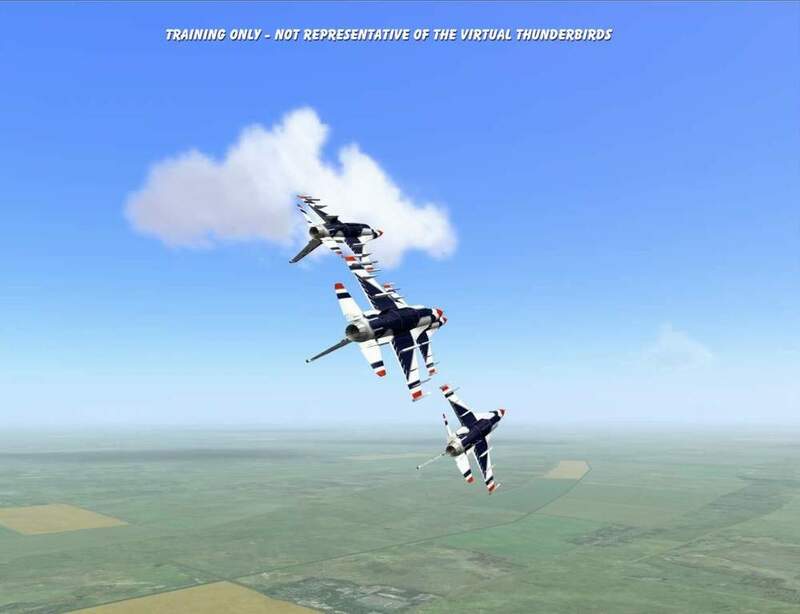 Click here to see screenshots from practice sortie 9-15-06 (VTB forum). 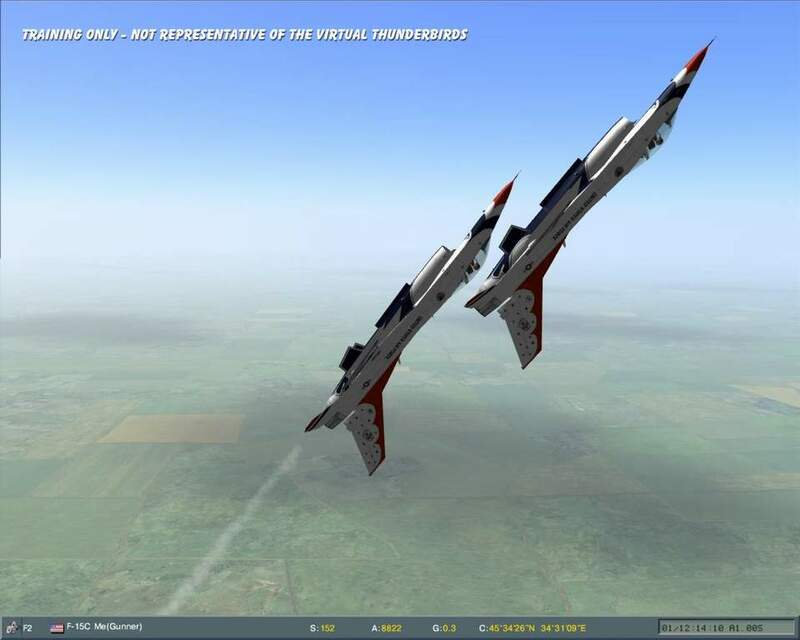 Click here to see screenshots from sortie 8-9-06 (VTB forum). 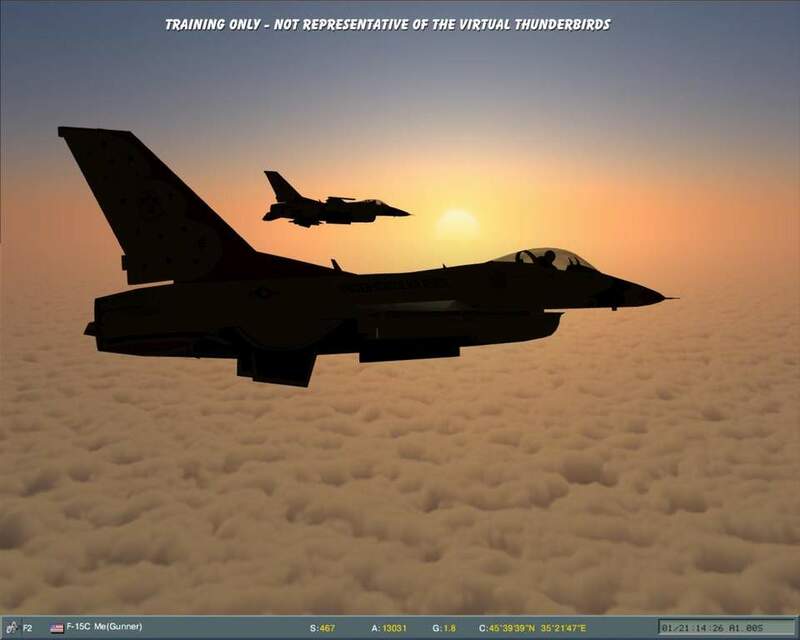 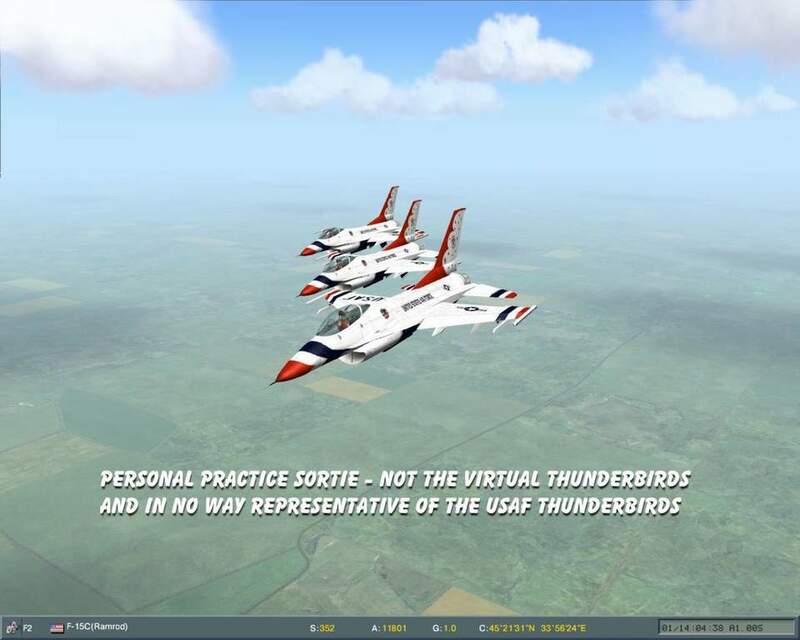 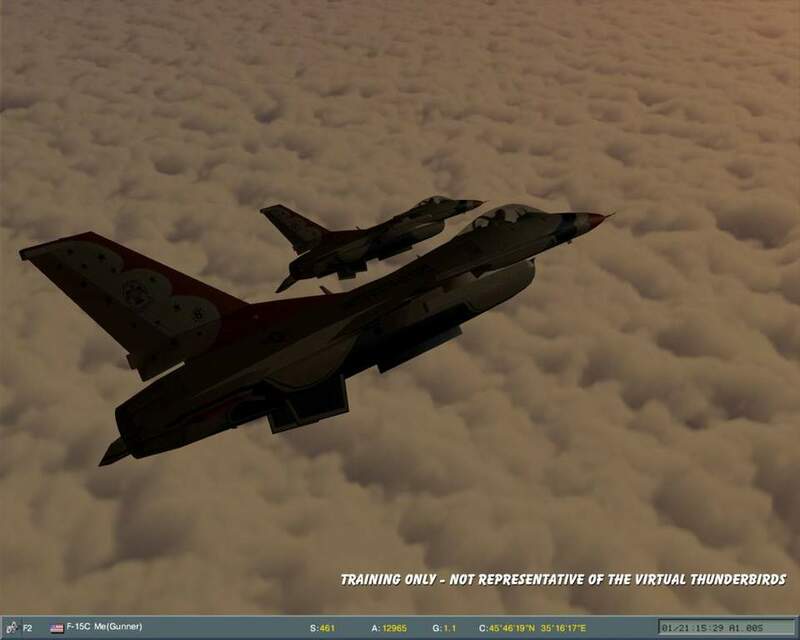 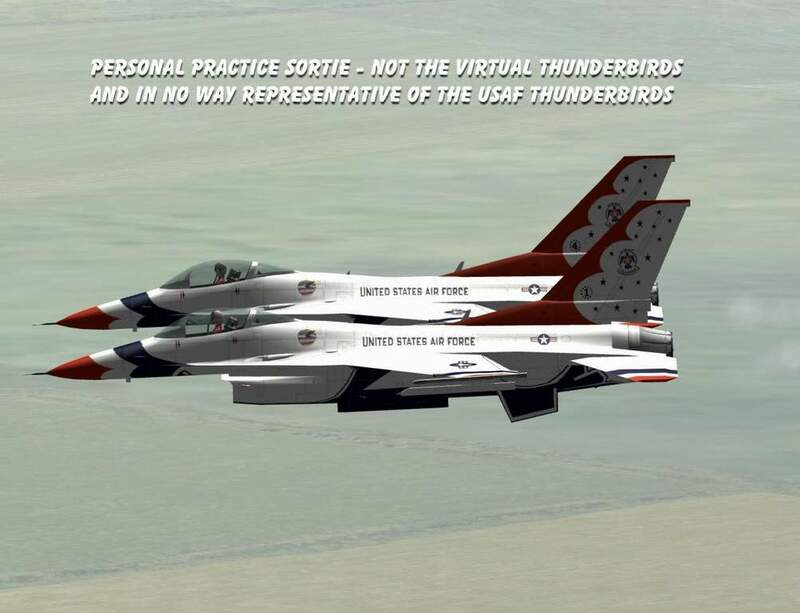 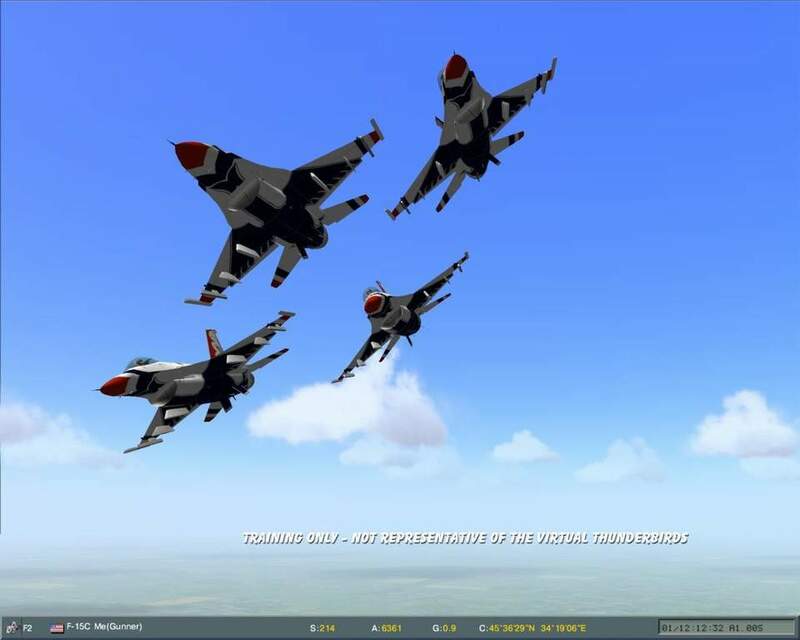 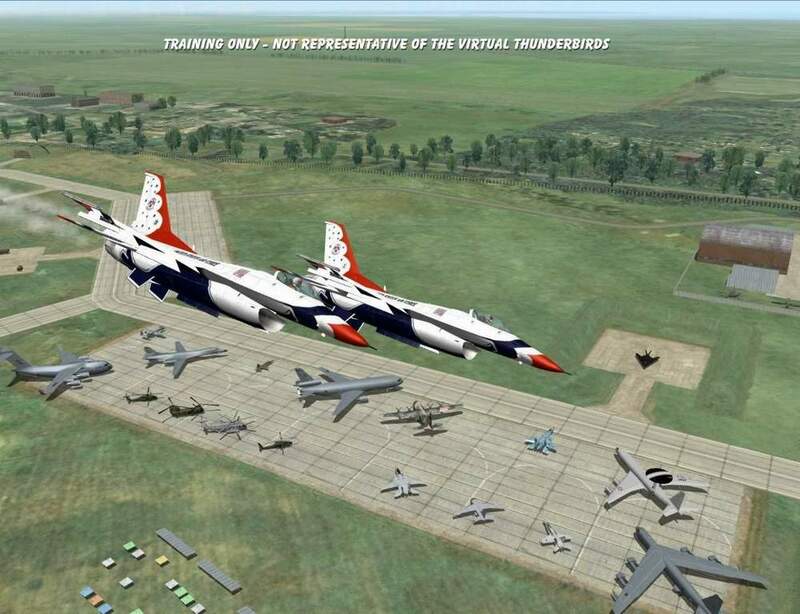 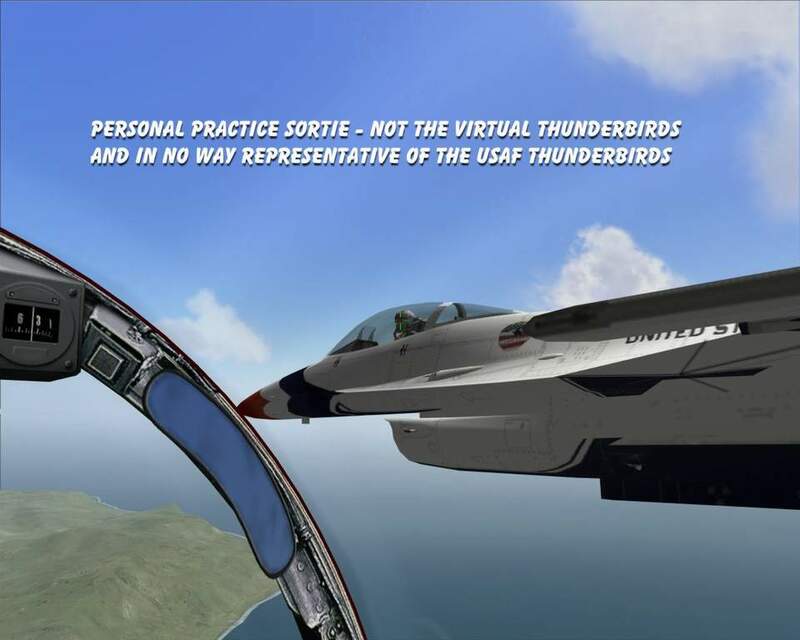 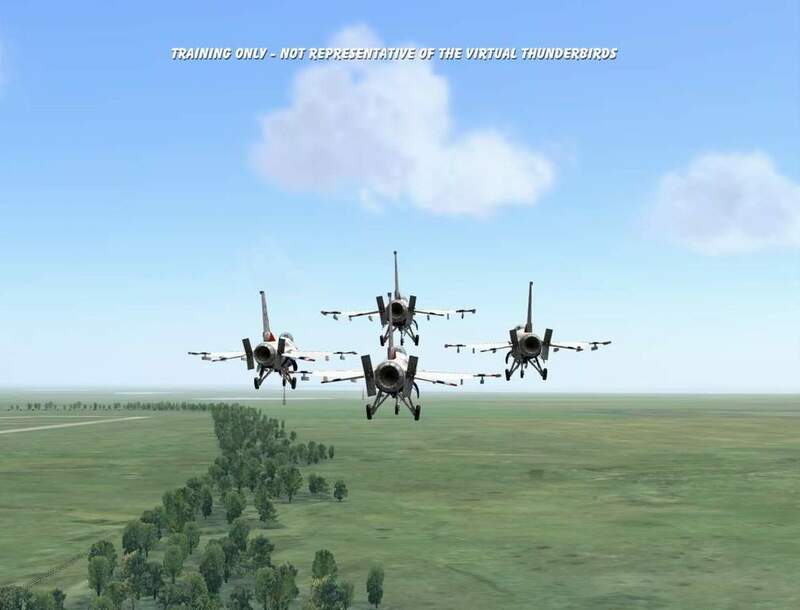 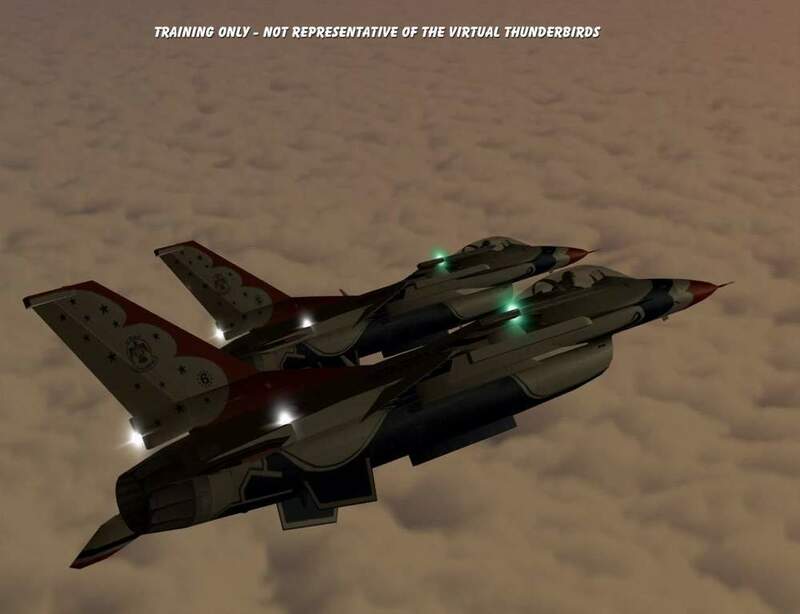 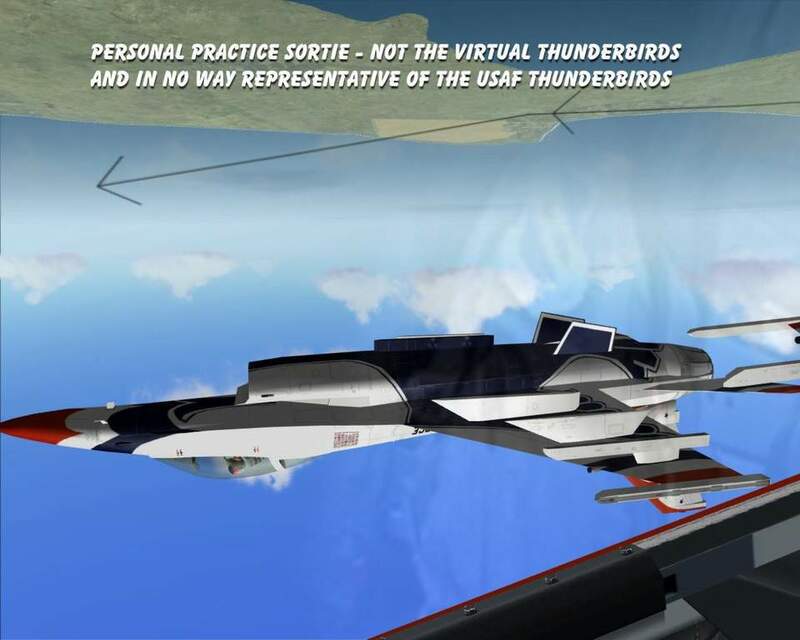 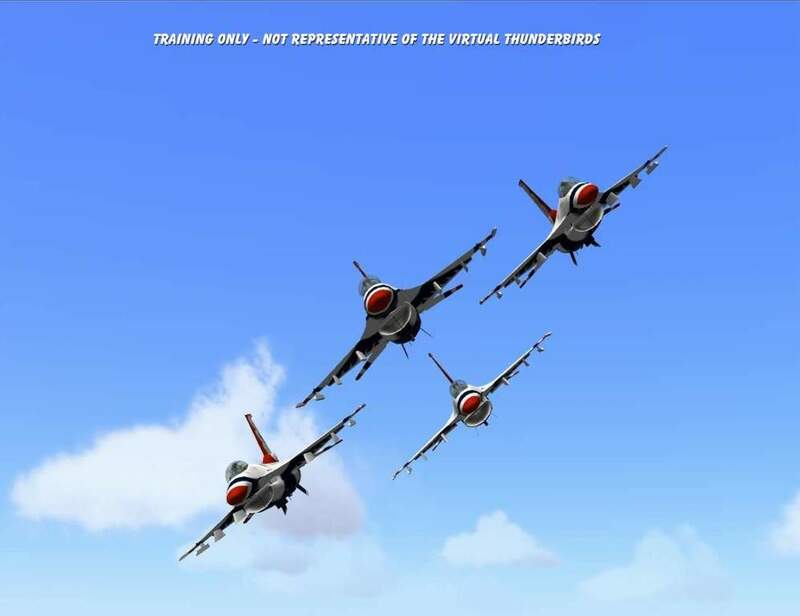 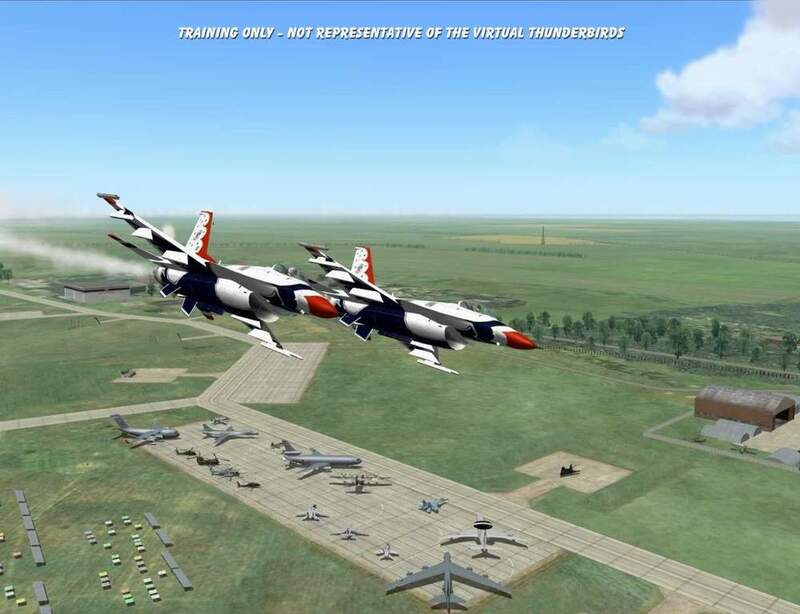 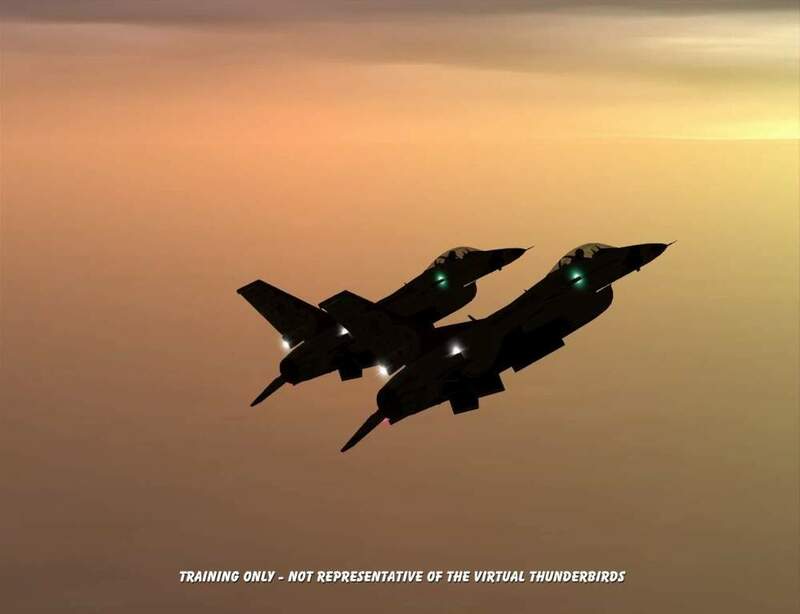 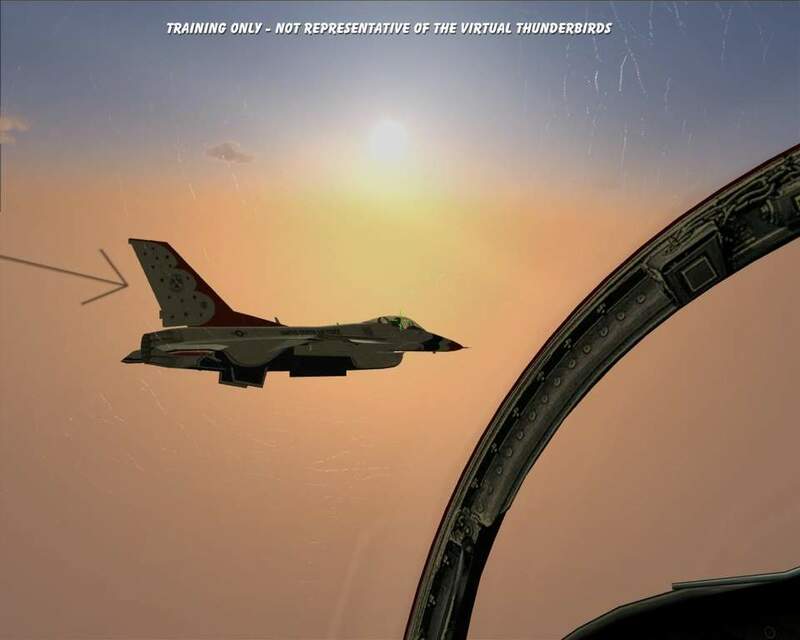 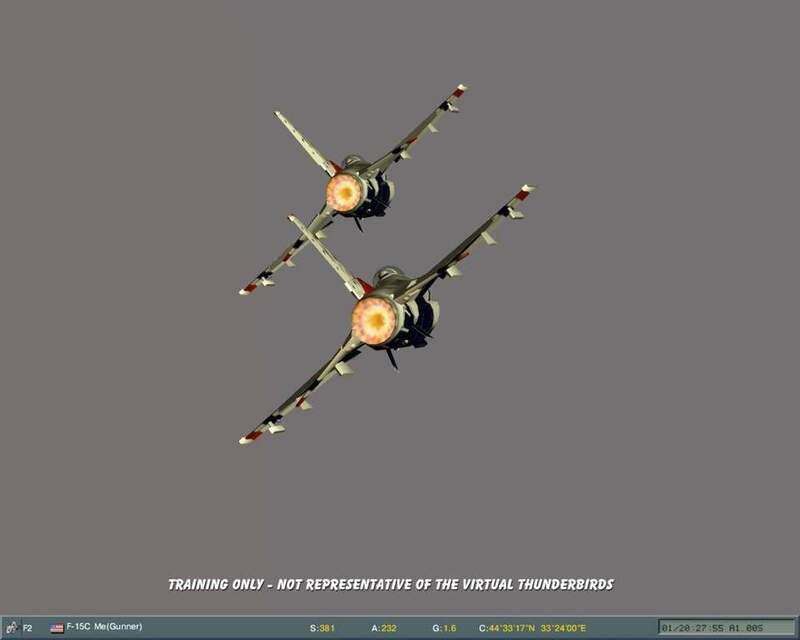 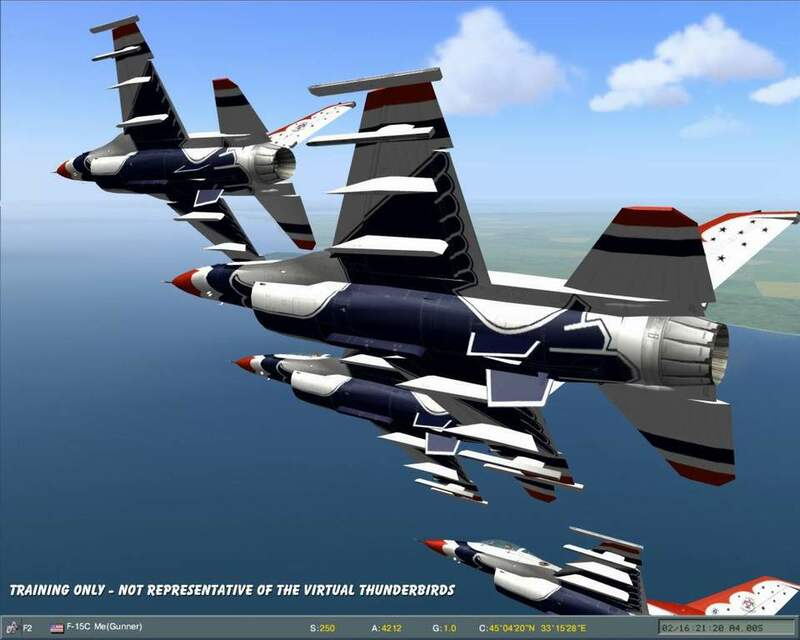 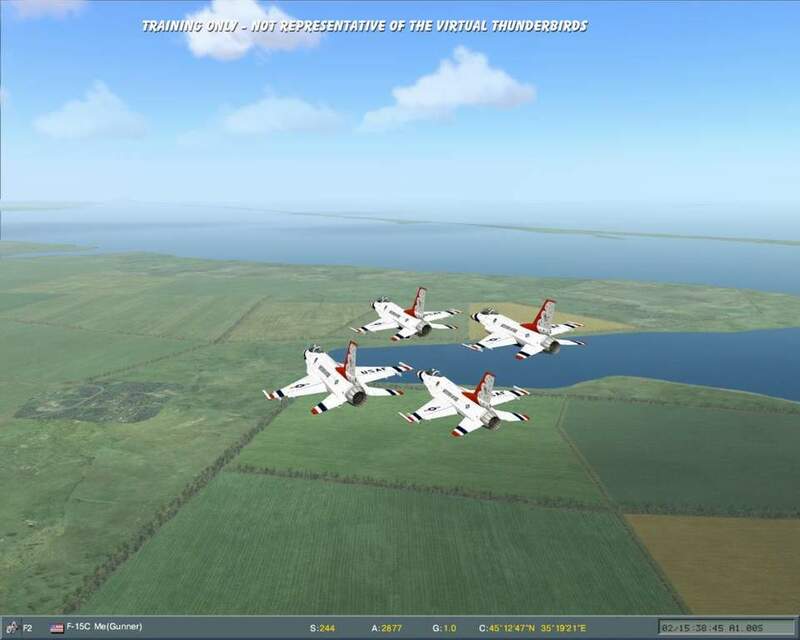 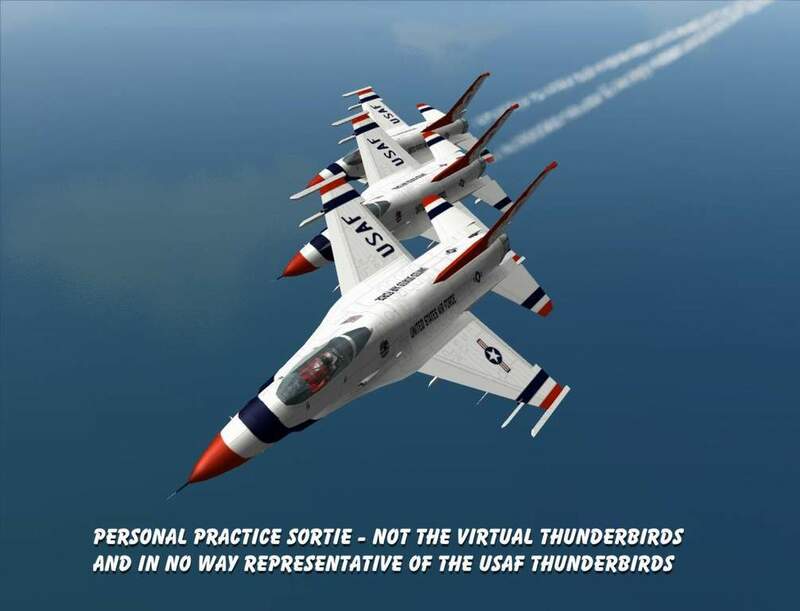 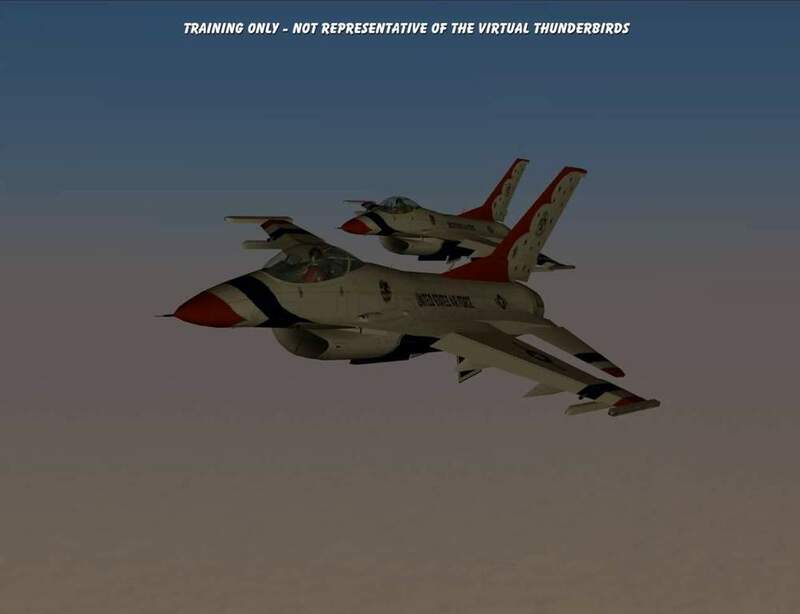 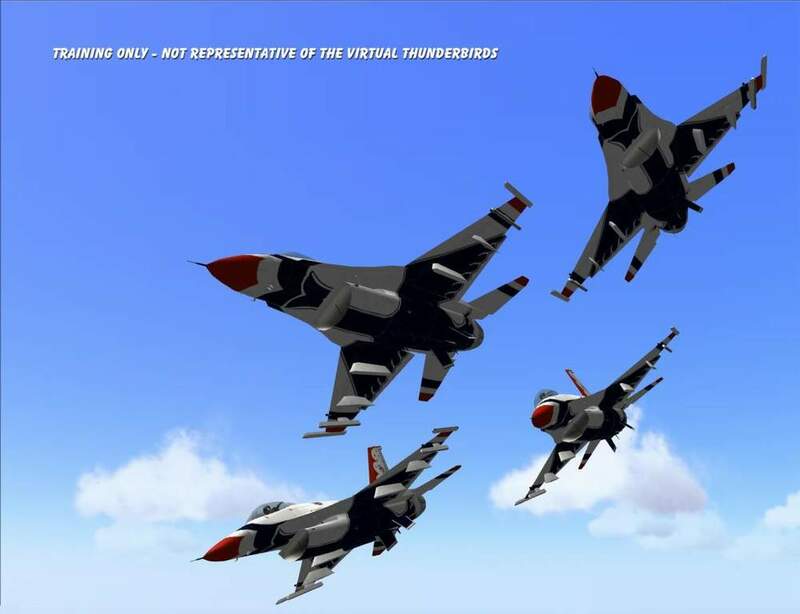 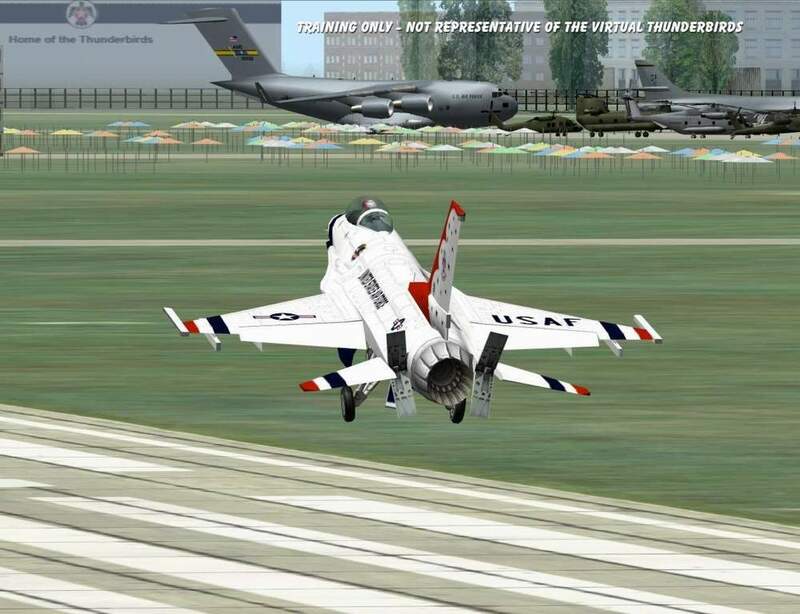 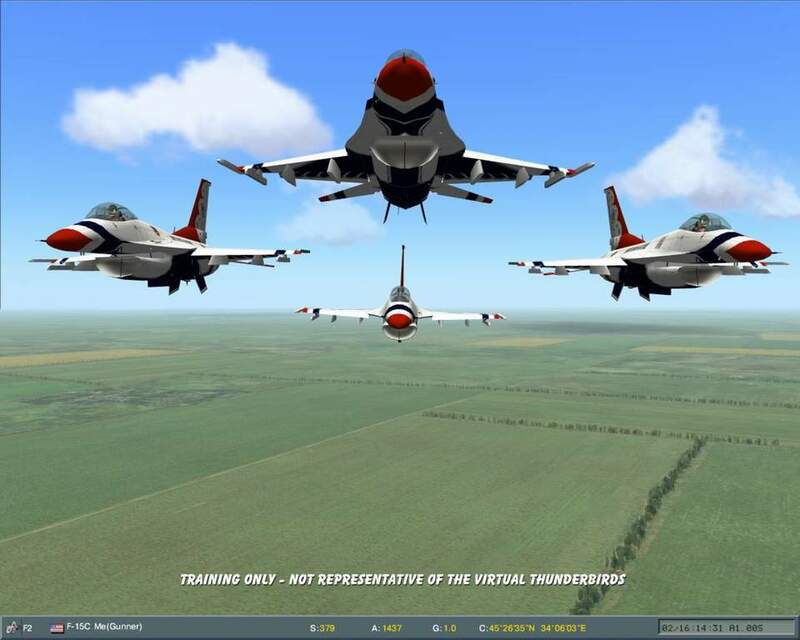 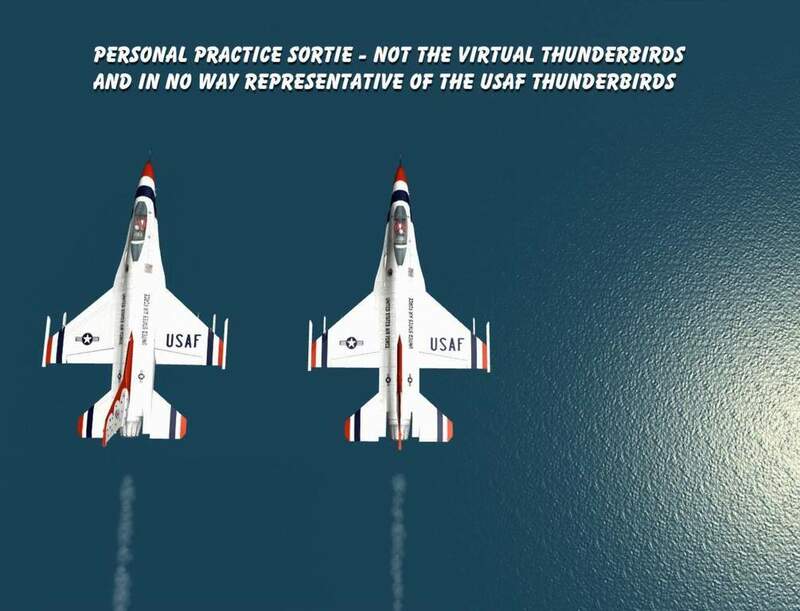 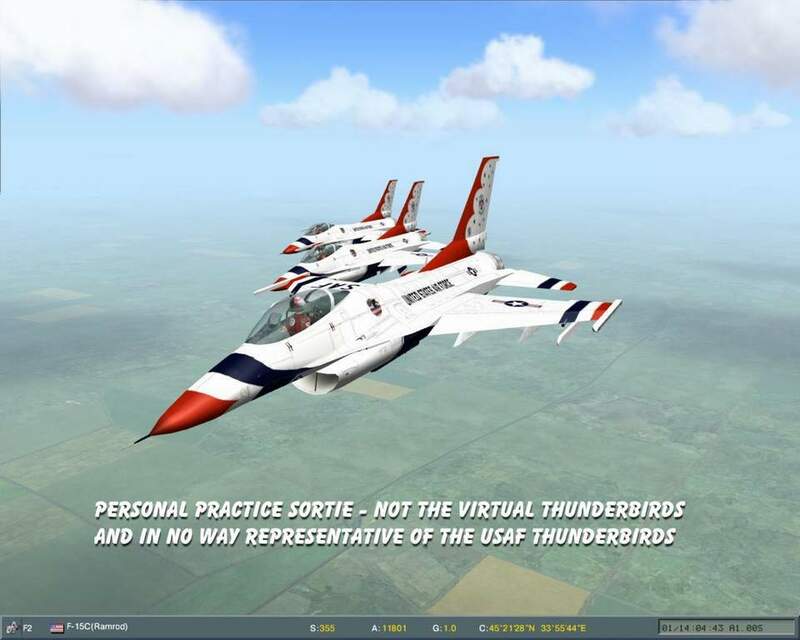 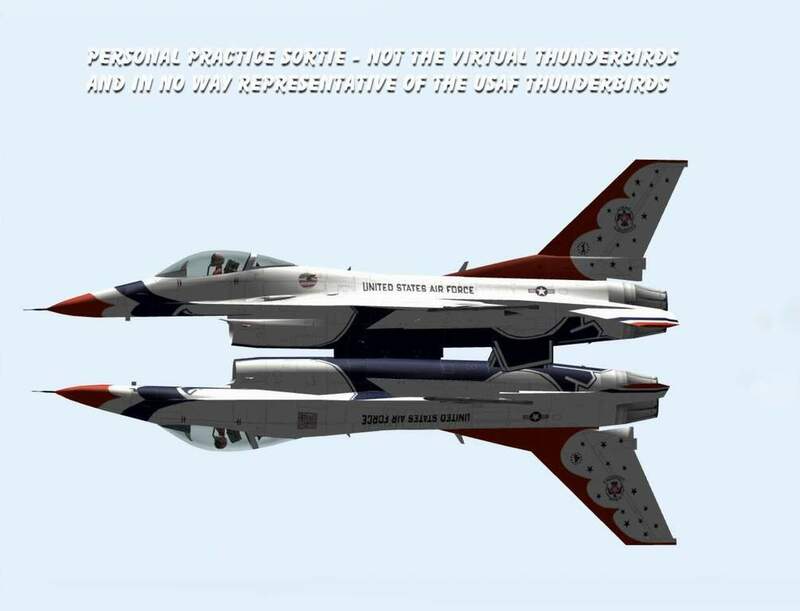 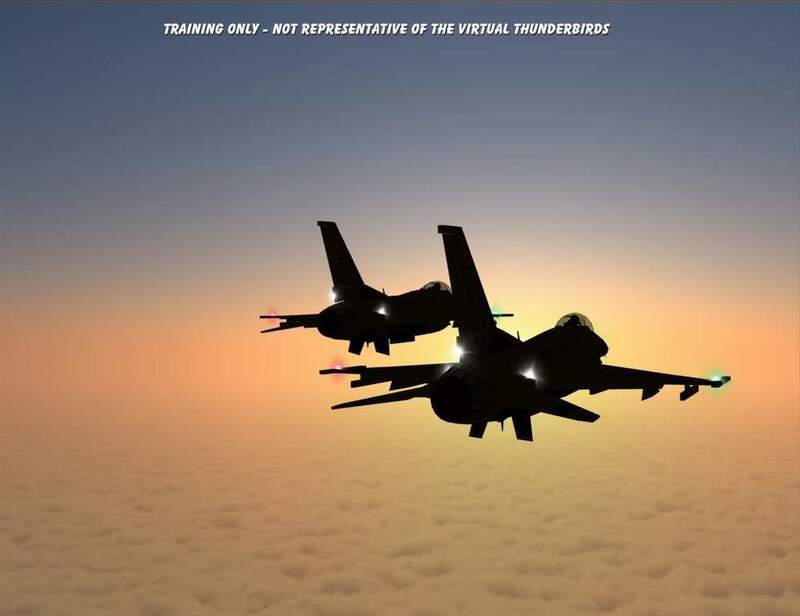 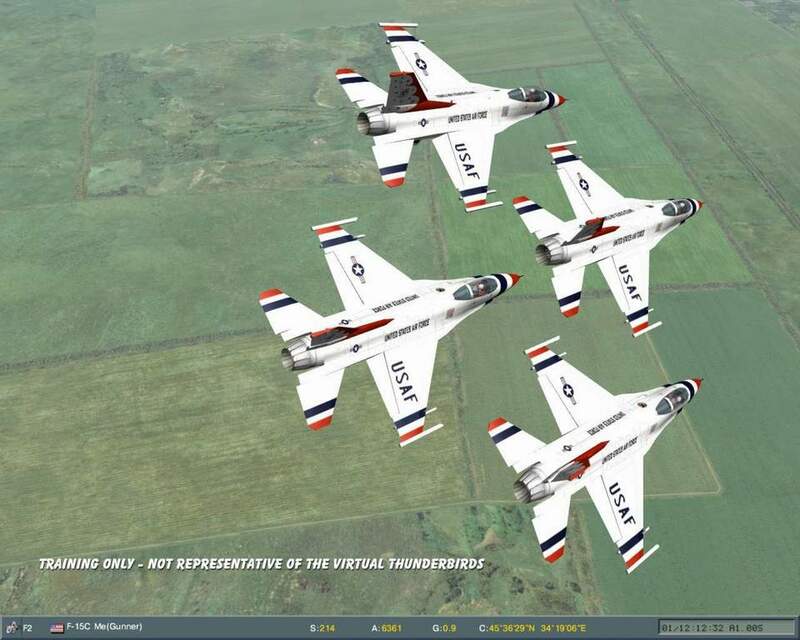 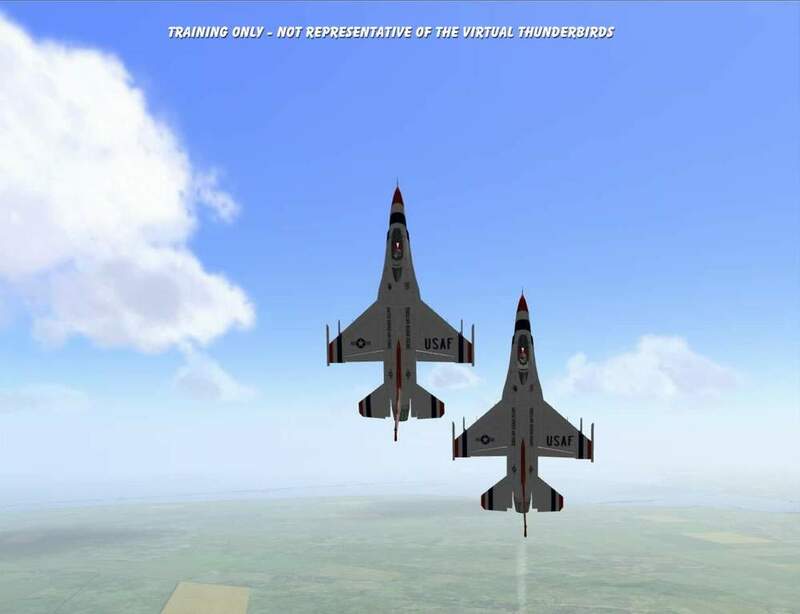 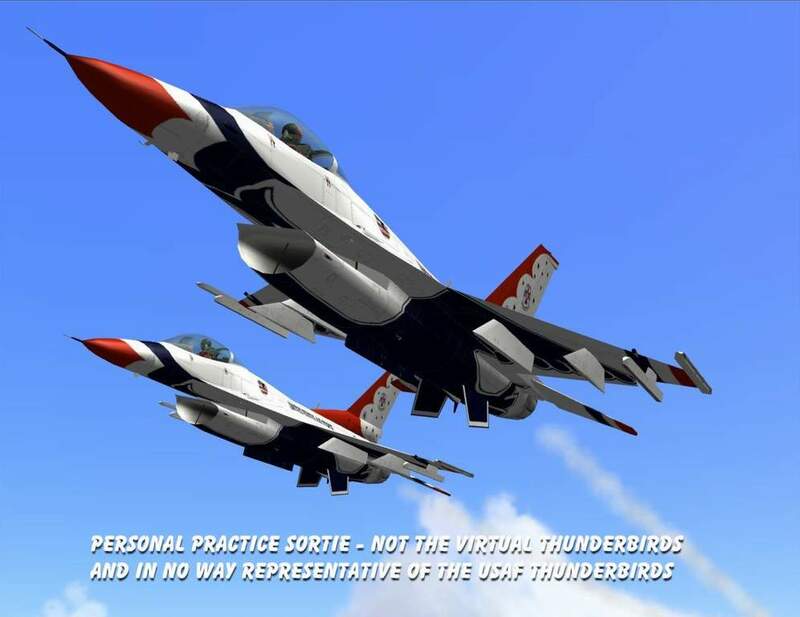 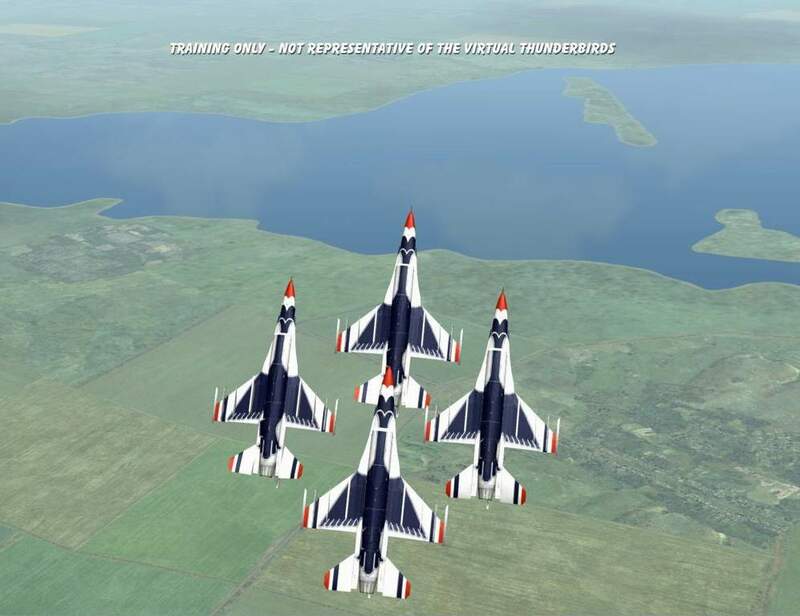 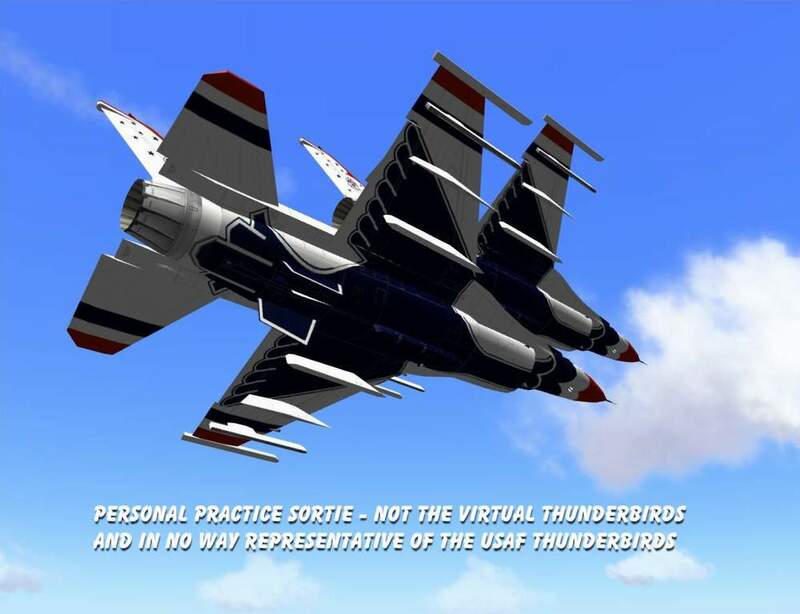 Click here for screenshots from other Virtual Thunderbird practice sessions.